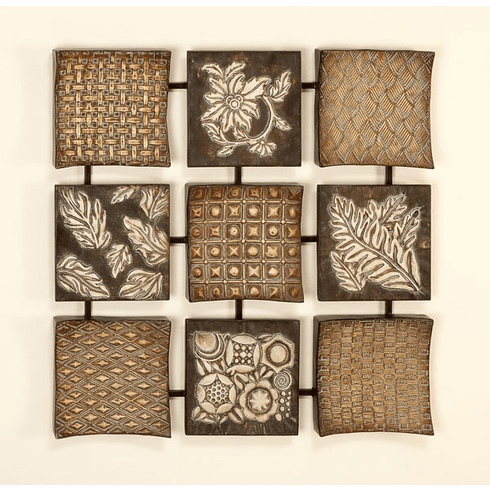 This is handfraft, hand made metal wall sculpture wall decoration arts. The nine unique, abstract units linked together make an complicated deisgn looks. Combination with leaves, tiles and dotted pattern. Perfect for your home, office, art studio, art project, model project and high class hotel room. * Striking and deversity pattern, Abstract Style. * Hand-painted various colors in shapes, handcraft and Modern Art. Dimensions: 28" x 28" x 5"